With its diverse population, multiple entertainment hubs and comfortable cost of living, it’s no wonder you want to stay living in Davie. Yet you also get the same moving headaches, even though your new home or office is close by. Local moving packages from Orange Movers are the perfect solution to changing your location in Davie, without the stress or the high cost. Call our offices to learn about our specialized services for moves in Davie. When it comes to moving, no need to say that the moving company can make your move infinitely easy. Whether it’s a small move, like a small apartment or as big as a whole company, there’s no doubt that any move can be made more rapid and less stressful with professional Davie movers, such as Orange Movers. But what types of services can you expect when you hire a professional moving company? 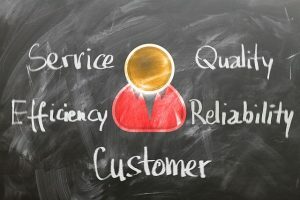 What services do professional Davie movers offer? This is the main reason moving companies exist, to transport your things from one place to another. You probably do not own a car large enough to carry all your belongings. So, most of the moving companies simply offer you the transport necessary to move all your things. Regardless of whether they are residential buildings with furniture, commercial relocation, which involves the movement of supplies and other business-related objects, or the movement of fragile items and valuable, moving is the main service expected from the Davie movers. If your new home or office is close to your old one, you might think it is going to be easy. But, it is not like that at all. Even if you it is only few blocks away, moving can cause you headache. In order to avoid problems, hire local movers Miami to make sure that you move everything safely. After all, they have big moving trucks and can transport all your belongings in just one trip. Moving to a different state can be, and usually is, very painful. But, it does not have to be that way. Long distance movers in Florida are there to help you. They will load you things, protect them during transportation, as well as unload them safely in your new place. That way, you will save your time and nerves, thus be able to finish some other, more important things. Moving itself can be a big test, but what about everything that follows it? After all, moving all your furniture is a tough act in itself, but packing also requires a lot of effort. That’s why most Davie moving companies also offer professional packing services. Naturally, this is packaging, as well as unpacking all your things. And also providing you with a complete set of reliable packaging materials. With this service, you can save a lot of energy and avoid unnecessary stress! Most moving companies offer storage as an extra to their services. In the end, each move is different, and you may need to spread your move over time, which will require a storage. Or maybe you are a student between moves and need a place to store all your things before finding a new apartment? Anyhow, these cases, among other things, is why all reliable Davie movers offer storage services. And last but not least: all reputable Davie movers offer insurance services. 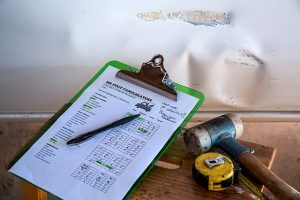 You can rest easy knowing that in the unlikely event that something goes wrong you are insured and will get compensation for any damage. So, before you hire any moving company, first ask if they provide insurance. Where can you have fun after you move to Davie, FL? Seminole Hard Rock Hotel & Casino is the most popular place in gambling and entertainment in South Florida. In the hotel and casino you will often see famous celebrities and musicians from around the world. In addition to casinos, Seminole Hard Rock offers a wide selection of shops, concerts, live entertainment, clubs, restaurants and much more. It has been one of main tourist attractions in Davie for more than 40 years. Besides rodeo, the arena developed to satisfy requests for such significant events as monster trucks, car shows, specialized shows, famous entertainers, shows of dogs and horses, family events and industrial shows. Flamingo gardens – a tropical paradise with 60 acres of animals and greens. It has the most complete wildlife collection of Florida, including panthers, eagles, alligators, peacocks, otters and, of course, flamingos. Flamingo Gardens is one of the earliest botanical gardens in South Florida. In the Billy Swamp Safari, you can glide along the path, through cypress forest swamps. There you will see turtles, birds, raccoons, fish and, of course, alligators, in their natural habitat. Feel and enjoy the wonders of Mother Nature. Visiting the historical museum of the Old Davie School, you will return in time and get acquainted with the history that formed this area. The History Museum is an unforgettable and picturesque resource dedicated to providing information and training sessions for students and the community. The building is an indispensable link to the chronicles of the pioneers of the 20th century. Why should you hire us as your Davie movers? When you are looking for a reliable moving company, it is hard to decide which one is the best. You can find numerous tips and tricks for finding reputable and cheap movers in South Florida. And if you follow those tips, you will see that they all lead to Orange Movers Miami. We meet all the requirements, and you can be sure that, hiring us, you will get services of fully professional Davie movers. Moving is going to be stressful, no matter how small your home or how close you are relocating. The good news is that with a local move in Davie you can save money with a special package deal. 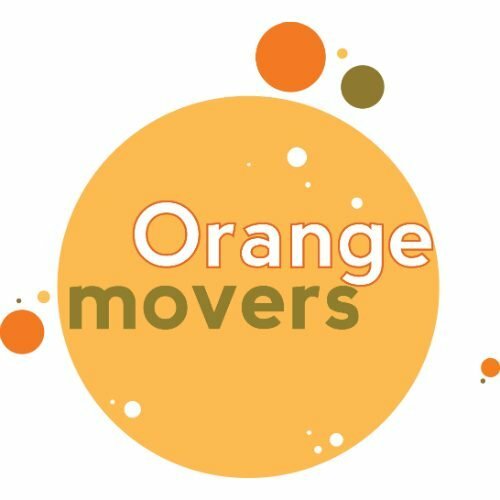 The pricing plans offered with Orange Movers include a discount that makes it more cost effective than doing it yourself. Stick to what you know about running your business, and let Orange Movers worry about how to move it. A commercial relocation can be a complicated project that requires expertise and an understanding of the details in local moving. Each move me make in Davie is special to us, but some do require a bit more finesse than others. This could be because of a large piece of furniture, an antique pool table, or a distinct collection of fine wines. You might think you are saving pennies by packing yourself, but the truth is, you are wasting time and supplies this way. Plus, you are not giving your items the same security that they would get from a professional. When you start adding a dollar value to your time and energy, you’ll quickly see how paying for a full service move in Davie is going to save you money. Go ahead and do the math, and then compare your cost to the low price that Orange Movers is going to charge. You have certain expectations in a local moving company, and at Orange Movers, we work hard to exceed them. Friendly and knowledgeable service is just a start in how well we treat our customers. Our representatives strive to provide you with accurate local moving estimates, money saving promotions and customized services to make your move in Davie as pain free as possible. Insurance cannot cover the sentimental value of your precious heirlooms and collectibles. Orange Movers does offer insurance, but we also go to great lengths to ensure that you won’t need it. Our careful packing methods include quality packing materials and sturdy boxes to prevent any damage during transport. Our crews show up fully equipped as well, so that heavy furniture and large boxes are not accidentally dropped along the way. Cost is not the only consideration when choosing a local moving company in Southern Florida. Make sure you are also taking into account the level of service versus the personal value of your belongings. With various universities and colleges dispersed throughout Davie, the populous town has grown increasingly popular. 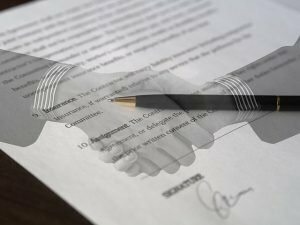 When planning a local move here, you want to partner with a company that is familiar with the area and the multiple neighborhoods that encompass it. This will save you precious time when transporting your belongings from one block to another. Minimize your stress and maximize the savings by choosing a moving company that knows their way around. All of our service professionals are going to impress you with their extensive knowledge of Davie and local moving in Southern Florida. Call us today to see firsthand the advantages of local moving with a local moving company. Life rarely goes the way we plan, even when planning a move in Davie. Finding yourself in a last minute lurch is no reason to resort to throwing together a do it yourself plan. Our friendly staff is always available to get you out of a moving tight spot, no matter what the circumstances are that got you there. If you are in a sudden rush to move in Davie, you’ll want the help of Orange Movers.